Creative Photography, Websites, Tips, Inspiration, Ideas & Contests | SEO Magic! If you could wave your digital camera and make clients appear in your studio, the camera would be nothing but a blur because it would be moving back and forth so fast. You know you are a great photographer. You know your pictures and images show imagination, creativity and inspiration. The pictures posted on your website prove it so exactly where are the customers? Photography, as we all know, is an art form while Search Engine Optimization (SEO) is for those techies who can be bothered with completely unimaginative things like web crawlers and keywords. WE, on the other hand, are at least four steps above because WE take pictures and make people look better than they ever have in their lives or capture stunning nature photos that make polar bears sit up and take notice. Right? Okay, WE are good at what we do, but the techies are good at what they do too and the twain shall meet on the web. SEO may seem more like a foreign word than something creative souls might be interested in learning about, but it’s the key to being found on the internet. SEO springboards off a strictly mathematical algorithm that has nothing to do with how alluring you can make a bride look in the pictures she plans on giving only to her husband-to-be. It’s tempting to think of SEO as being a mundane activity that requires you to stuff photography related keywords into tips. However, you need to change your perspective if that’s how you think of it. Consider this: Could you build a much bigger client list if it were possible to see what people were thinking about photography, the way they wish the pictures could look when completed, and the types of pictures they would love have taken? Of course you could because then you would know exactly what your market wants from a photography studio. 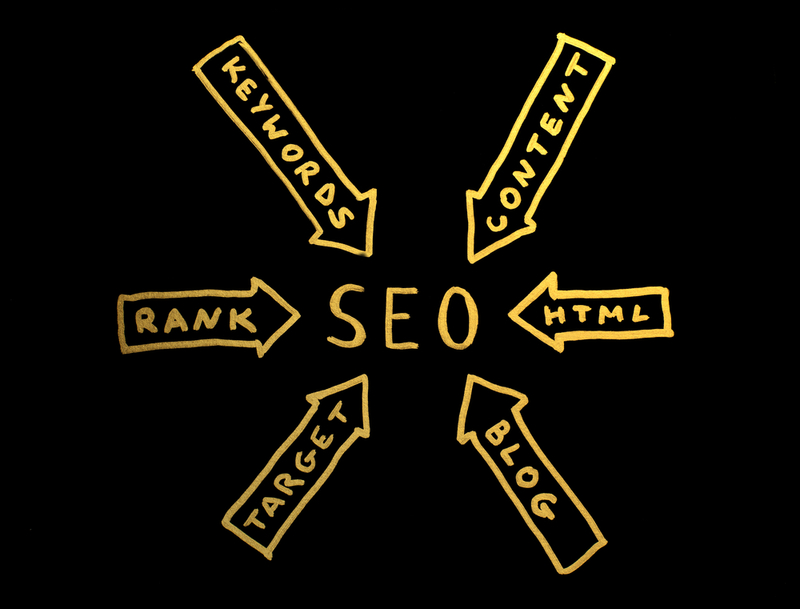 The principle of SEO is mind reading. It’s tuned into providing web search results based on how people really think and the way they ask for information, even more importantly, the way they will act when they believe the information they need is just around the corner…or at least just behind the next click of the mouse. So you may be wondering when the hard and fast and helpful information is coming. Here it is…blog…blog until you have to change the battery in your camera and then blog some more. Blogging is an easy way to take advantage of SEO through links and keywords, to share information people want and need about photography, and to develop an expert online brand. This is what attracts online customers. It may seem like you are being asked to shed your creativity and become a technical writer, but take comfort in knowing that blogging is an art form too. You won’t bruise your creative ego and can build a successful business by driving people to your blog and then your website where they decide that you’re the perfect photographer. Blogging is taken for granted today and admittedly there are a lot of blogs that really are more ranting and ravings than real information. So that’s where WE get down to business. Here are some tips for blogging from the serious bloggers who have made money from blogging. Get ready creative soul…we are going SEO’ing. You may have a great website but it’s not going to do you much good if you don’t get those infamous “hits.” So don’t think of yourself as strictly a photographer. Think of yourself as a photographer who can adapt technology in a way that is so creative and so…well… SEO. It’s the world we live in so join the party. It’s photography magic.